A lot of people have asked me. “Helmi Hakim. I want to buy a house in Singapore. I dont have money to pay full in cash thus I have to take a loan. I have made it clear that there is NO shariah compliant home financing facility in Singapore at this point of time. That’s why I created Takaful.sg with my unique Your Financial M.A.P. Model™ to share simple yet powerful strategies on how you can clear your Riba Based loans in Singapore. You can schedule a FREE consultation with me to find out more. Click here. In this blog post, I am going to share with you how shariah compliant home financing facilities actually work. In this world, there are 3 types of shariah compliant home financing facilities. I will explain from an Islamic Finance practitioner point of view in Singapore, and in layman terms. In a Murabaha or cost plus financing, you select a property and the financial institution acquires it. The financial institution adds its profit and sells the asset to you at an agreed upon price on a deferred, usually installment basis. Its like a shopkeeper who sells you goods on credit. (Cost Price + Profit), you pay back to the shopkeeper on a deferred, usually installment basis. ‘Allah has permitted trading and forbidden interest’. This transaction is permissible in Islam. It is important to note that there MUST be a transfer of ownership from the home seller to the financial institution. then only it can sell it to you, the home buyer. In Islamic Finance perspective, if the Financial Institution does not own the property, it cannot sell it to you, the home buyer. In an Ijarah or Islamic lease, the financial institution acting as a lessor, buys a property and rents it out to you, the lessee client. Much later, as part of a seperate agreement, the financial institution offers to sell the property to you. Transfer the ownership to you through gift. and after that transfer the ownership of property to you through transfer of legal title. This is permissible in Islam. In a Diminishing Musharakah, the financial institution and you as the home buyer become partners. And purchase the property jointly. You, as the home buyer move into the property. Perhaps the property is worth SGD200,000. You pay 10% of the price (SGD20,000) as downpayment. 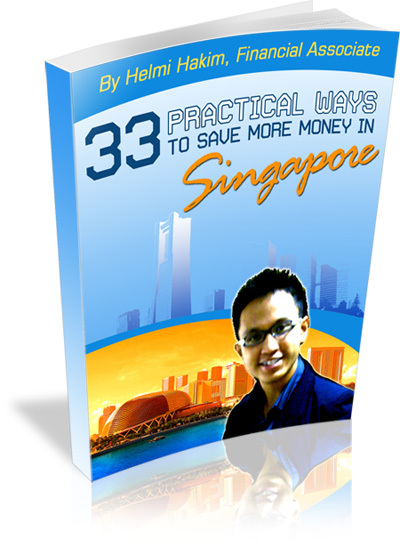 The Financial Institution takes care of the other 90% of the price (SGD180,000). This agreement results in 10% home ownership belonging to you, the home buyer. And the remaining 90% to the Financial Institution. You then gradually acquire the financial institution’s equity shares in the property. Until all shares are completely transferred to you. with each successive rental payment “diminishing” to the extend of the financial institution’s reduction in its share of the property. The END result, you will own the property 100% completely, thus no longer needs to pay rental. At no time, you as the homebuyer pay any interest (riba). You only pay 2 things. Firstly, the house, in small payments, bit by bit. Secondly, the rent, for the portion of the house which you have not owned yet. As you can see above, the key difference between conventional mortgage and a shariah compliant home financing is that conventional mortgage involves loan of cash on interest, whereas a shariah compliant home financing is strictly the exchange of assets. Each of the above transactions involves an asset and actual ownership by the financial institution. Ultimately, the financial institution must own some (Diminishing Musharakah) or all (Ijarah Wa Iqtina and Murabaha) of the asset for it to be Islamically acceptable. Insya’Allah, when shariah compliant home financing facility is introduced in Singapore in the near future, I will be exploring strategies on property investment too. As of now, if you are looking on the practical aspects on how you can save, accumulate and grow your money the shariah compliant way in Singapore, you can always whatsapp/sms me at 96520134 to schedule a FREE consultation.